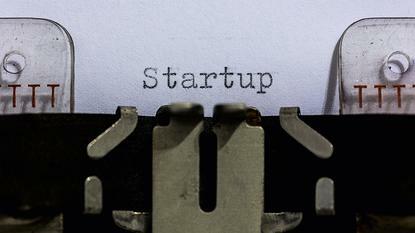 The startup mythology is well and truly embedded in New Zealand culture. Long before Steve Jobs was tinkering in his garage, New Zealanders had made a cultural institution out of the garage or the shed. This business orientation is reflected in the way we are a nation of small to medium enterprises. MBIE estimates that 70 per cent of our enterprises have zero employees. That means that there are a lot of New Zealanders operating as both CEO and director, potentially with one or two partners. The tech industry is one example of an industry where New Zealanders have embraced this opportunity and the lure of global growth through leveraging the possibilities of the internet. We don’t yet measure how big the tech industry is, but in 2016 NZ Tech set out to scope the size of the industry. They found the tech industry was contributing $12.5 billion to our GDP, and there were more than 29,000 companies in New Zealand. Companies like Xero, PushPay, and Soul Machines are the success stories, proving that while New Zealand might be small, we are more than capable of being leaders in innovation. When a company is experiencing growth, it can be difficult to imagine what it might be like without key personnel, but it is important to establish strategies for dealing with this before the unexpected occurs. For New Zealand’s economy to thrive, we need more entrepreneurs who bravely and relentlessly push the boundaries of what is possible. 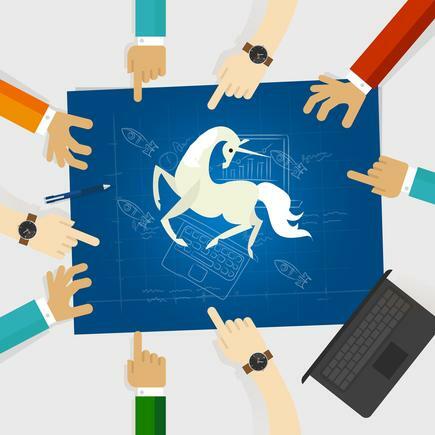 We have all heard the stories of unicorns, who through a unique idea grow exponentially to become market leaders in their field. To do this, we also need to get better at supporting our entrepreneurs, as their path is often lonely, relentless and filled with long hours. The BizDojo Minding our Minds survey last year found that 95 per cent of entrepreneurs felt that work was affected their wellbeing, with 71 per cent experiencing anxiety, and 76 per cent saying they felt overwhelmed. This is hardly surprising. When a business begins to take off, celebration is often tempered with the exhaustion that sets in as the business stretches and struggles to deal with the growth while still servicing existing clients. Going from one or two founders to a team of employees and getting them to gel while upscaling can be a challenge. During this period, it can be difficult to find the time to get out of the onslaught of day to day tasks to think about big picture strategy. This is where a board can help, and establishing one can be the difference between make or break. Boards help you access additional expertise that can help you negotiate the complex range of fiduciary and legal requirements, set the strategy and vision for your organisation, and create a culture that will help you retain your best performers. A board can also operate as one of our biggest advocates, and can improve your connections across industry and to potential investors. For some organisations, an advisory board is sufficient to help with planning for growth, as it allows you to access expertise. For others, it may be better to establish a full board – a step that can help companies with potential for high growth negotiate growth transitions. An important step is compiling a board that will be best for your company. When thinking through how to put your board together, a board matrix is a useful tool to deploy. This identifies the skills and competencies that you will need as your organisation grows, and ensures that the director recruitment search aligns with these. One of the essential functions of a board is to ensure that the company meets its fiduciary and legal compliance, so it is important to ensure you have these skills represented on the board. While many companies have access to trusted advisors, such as banking consultants and lawyers, establishing a board can help you more readily access this expertise and people who are fully invested in your company. For tech startups, who have a need to remain agile and resilient to disruption, it may be necessary to think more broadly about skills. Many tech startups may want to think about directors who bring marketing experience, or have experience raising capital. Succession planning should also be a part of this process. When a company is experiencing growth, it can be difficult to imagine what it might be like without key personnel, but it is important to establish strategies for dealing with this before the unexpected occurs. Raising awareness about the process of successfully establishing a board is important in a market like New Zealand, where the business environment is dominated by SMEs. Pairing great entrepreneurs with great boards will enable our economy to grow by enabling our entrepreneurs to leverage the expertise of directors who are seasoned in their business experience. Together, we can create stronger, more resilient and faster growing companies.